The United States Army Garrison Japan and its 16 supported installation sites are located in the island of Honshu and Okinawa in Japan. 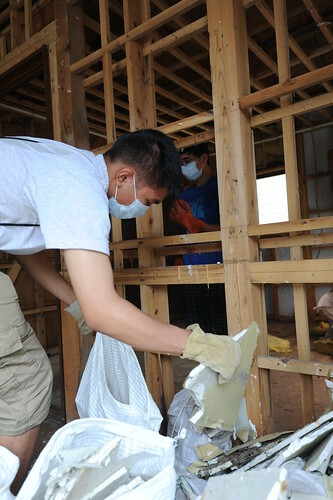 The USAG Japan mission is to support the Headquarters, U.S. Army Japan / I Corps (fwd) to ensure mission readiness and the quality of life of the Army community in a sustainable, transforming joint and combined environment. The USAG-J area of responsibility spans 1,500 miles from north to south of Japan. Camp Zama, home for both HQ USARJ and USAG-J is located approximately 25 miles southwest of Tokyo in the cities of Zama and Sagamihara in Kanagawa Prefecture, Japan. The Camp Zama base cluster includes Sagamihara Housing Area and Sagami General Depot. Akasaka Press Center is located in the center of Tokyo. The Akizuki/Kure area near Hiroshima is an ammunition depot. Yokohama North Dock is a port facility in the city of Yokohama, a major commerce port and a popular shopping area. USAG Torii Station is located 980 miles southwest of Camp Zama on the island of Okinawa. We are the Army's home in Japan and the "Garrison of Choice" for Soldiers, Civilians and their Family members. We are committed in becoming the leader in the U.S. Army Installation Management Command by providing world-class installation services.